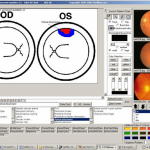 Medflow Ophthalmology EMR software is a comprehensive electronic medical records (EMR) software developed specifically for eye care. 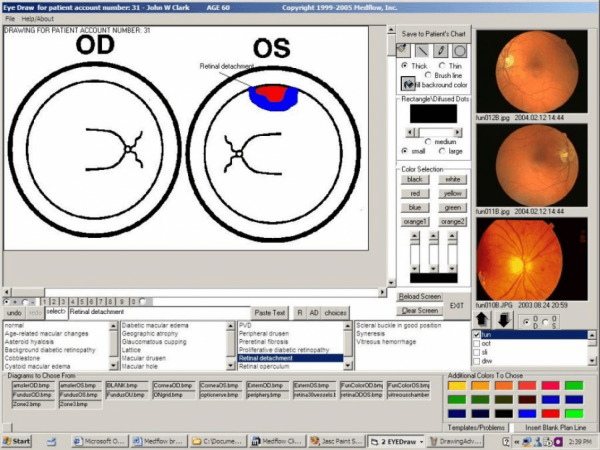 Despite ophthalmologists being Medflow’s target market, the software can also be used by practices providing both optometry and ophthalmology. 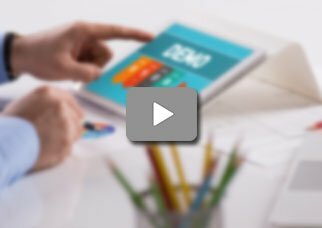 The health IT system is available as either a complete EMR and practice management (PM) system designed to manage patient scheduling and billing, or just as a stand-alone EMR. The program is ONC-ATCB certified and allows eligible providers to easily qualify for ARRA stimulus payments. 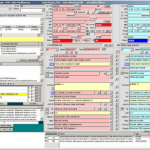 Medflow EMR has built-in templates developed specifically for ophthalmology practices. It features tools that help providers in retina scans and surgery, eye measurements, glaucoma, cataracts, digital drawings, and LASIK procedures. ASC and optical modules are further included in the base package. The program is compatible with eye care practices of all sizes. It can work with solo practices and even large hospital chains with 50 or more doctors. Medflow can be utilized as a web-hosted solution and can even be installed on-premise using a Microsoft SQL server. Thanks to the HL7 interface, the software is able to integrate with existing practice management systems and other similar devices. 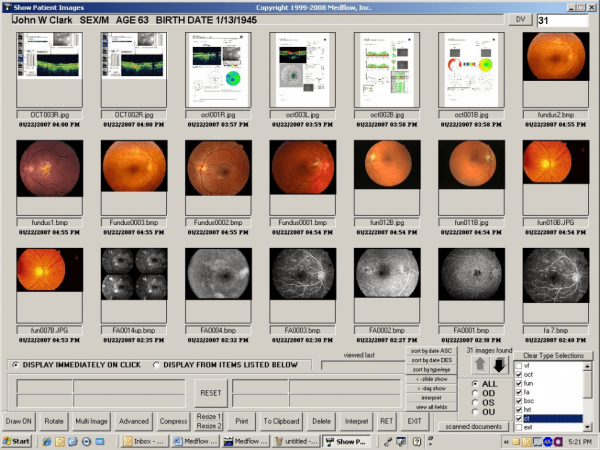 The image workflow management module offered is very straightforward and quite suitable for image-intensive ophthalmology clinics. The system also comes complete with an integrated patient portal that enables patients to complete intake forms online. This saves a lot of time and also eliminates the lengthy and frustrating paperwork. 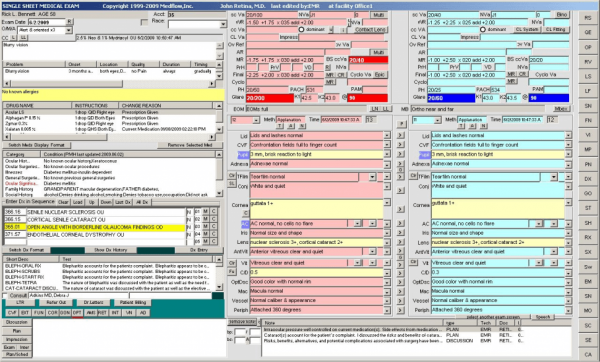 The company behind Medflow EMR has been developing ophthalmology-specific Health IT software since 1999. It is a recognized leader in the ophthalmology industry. 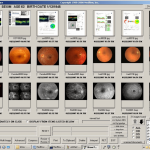 Medflow has 2,400 plus ophthalmologists utilizing its software on a daily basis in their medical practices. Thanks to its wide-reaching popularity and sharp focus on eye care, Medflow is a vendor EMR Finder feels comfortable recommending to eye care practices of all sizes. Pros: It is very easy to navigate although the interface is very busy but you get use to it. Pros: It is a specialty specific software which is rare. Cons: Customer support is awful and the software is filled with alot of bugs.